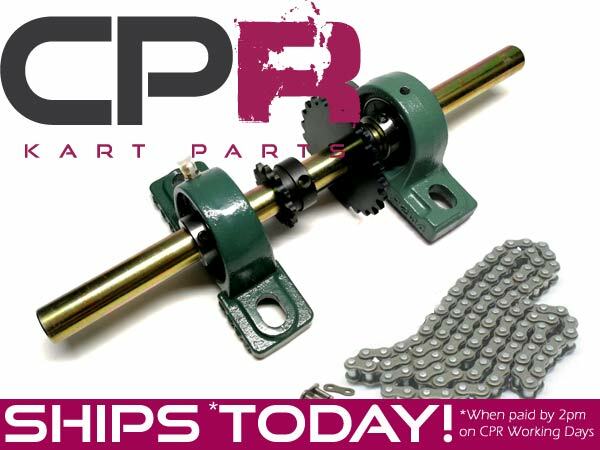 COMPLETE 3/4" (19.05mm) #35 2:1 Reduction Jackshaft kit. HAVE YOU GOT BIG WHEELS? If your vehicle has wheels in excess of 14 inches (350+mm) then even with a Torque Converter you still may be having problems with your gearing being too tall. - CONSTANT BURNT OUT OR SUPER-HOT CLUTCHES? - BROKEN TORQUE CONVERTER BELTS? - LABORING ENGINE, NEVER REALLY GETTING UP TO SPEED? - STRETCHED OR BROKEN CHAINS? - BENT OR WARPED SPROCKETS? 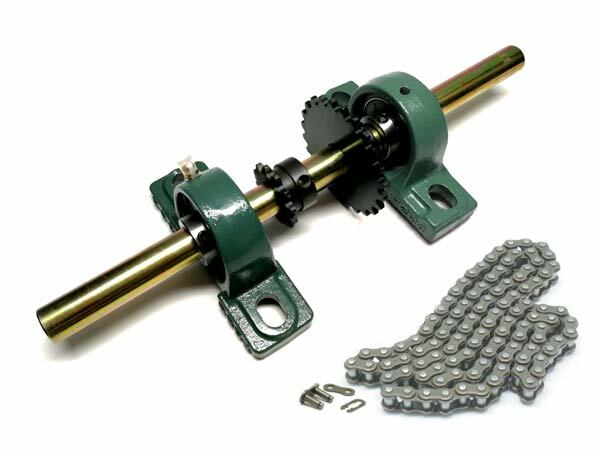 Then you need to shorten your gear ratio - this kit will do exactly that in one, easy to buy kit! Includes everything required to set up a jackshaft to do a 2:1 reduction on a standard #35 drive transmission. 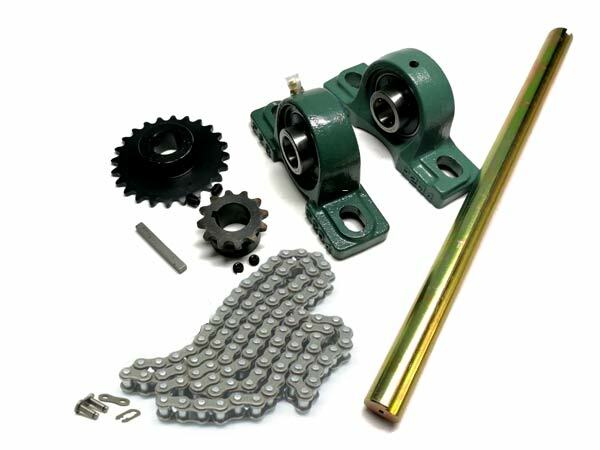 Drive it with the #35 chain in the kit, from a clutch or torque converter.